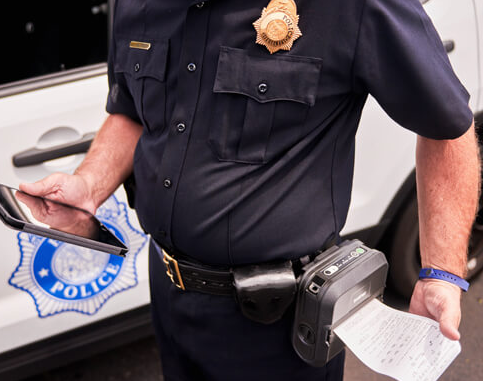 Theproliferation of handheld computing equipment for law enforcement had led to increasing use of mobile printers to produce on-the-spot penalty notices and to document incidents on-the-move. The mobile printers can print evidential reports, barcode tickets and labels can be produced with ease gives criminal investigative departments a solution to document long term and archived evidenence. The RG-MLP80 series offers a large paper roll size and a host of innovative connectivity options including wireless Bluetooth and wifi. They are perfect for thermal ticket printing and provide enormous flexibility in dealing with ticketing issues in virtually any location. Below are our recommended product solutions for law enforcement applications within this range.